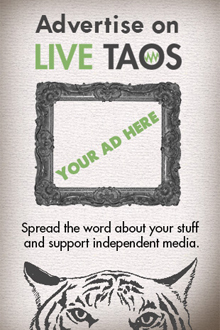 The artists of the Taos Society of Artists were inspired by the art and culture of Taos Pueblo. The Society was formed for “educational purposes, to promote and stimulate the practical expressions of art—to preserve and promote the native art.” Many of the TSA artists developed lifelong friendships and even familial bonds with their Native models, who included Looking Elk, Hunting Son, Star Road, Elk Duststorm, Rain Coming Down, and Elkfoot to name just a few. TSA artists became strong advocates for Native rights and sovereignty. 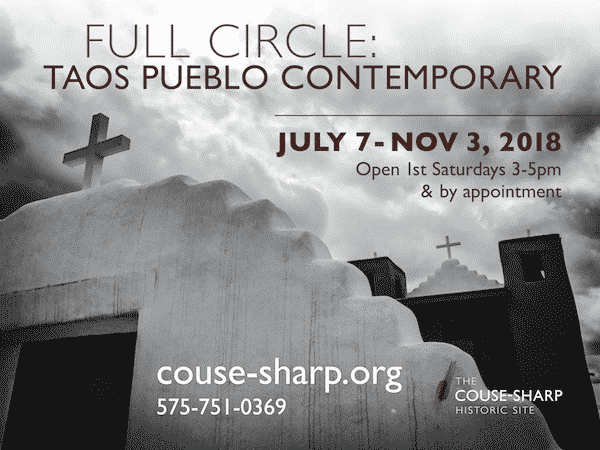 Full Circle honors those relationships and the many artists from Taos Pueblo who continue to redefine Native art and identity. See http://couse-sharp.org/calendar/detail/55 for a list of exhibiting artists. All exhibited items in this curated exhibition are for sale. Open 1st Saturdays 3-5pm through October and by appointment Mon-Sat between 9-4.